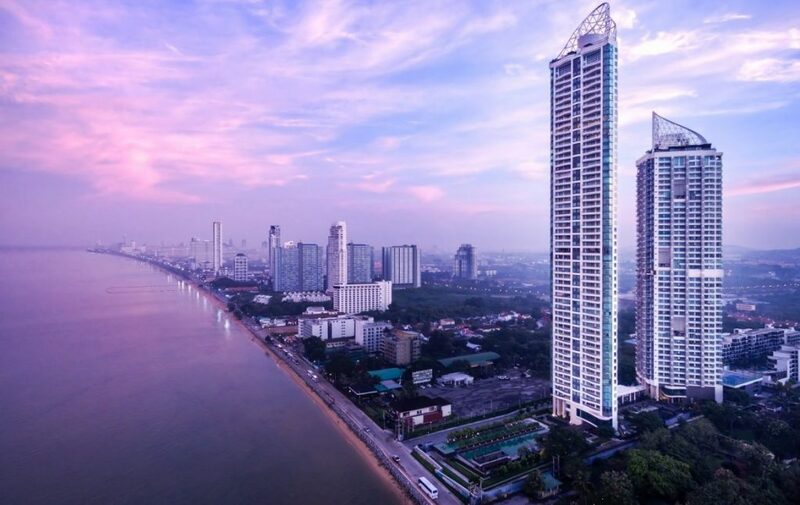 There are three main reasons why Pattaya is an ideal place for future’s speculations, real estate and condominium investments. Thailand is famous for its sandy beaches, tropical islands, sacred Buddhist temples and its universally loved cuisines. In 2016, Bangkok was voted number 1 ‘most visited city in the world’, beating Paris and London. 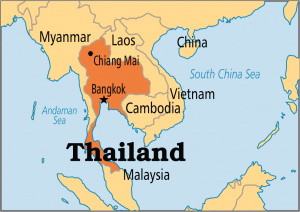 Thailand is a Southeast Asian country that borders Laos, Cambodia and Myanmar. The North of Thailand connects from China to Indonesia and west-connect Vietnam to Myanmar. In terms of property, Thailand has friendly property regulations for foreign investors. Thailand allows freehold foreign ownership, with low price, low down payment and low interest rate. Moreover, Thailand is situated in the center of the economic community of ASEAN (AEC) which is known as the industrial hub for production, export, transportation and trade. Pattaya is a coastal city that is situated in the Chonburi province of Thailand. It is the second most visited city after Bangkok, famously known as the ‘Hawaii’ of Asia. According to Bangkok Post local newspapers, 8 million tourists visited Pattaya in the first half of 2017. With statistics showing 2.54 million that were Chinese visitors, followed by 800,000 Russians visitors. As you may know, Pattaya is best known for its beaches and nightlife. However, there are other alternate point of interests such as sightseeing, temple-tours, museums, floating market, cabaret show, elephant trekking and many more. Pattaya has a large foreign retirement population as it offers leisure activities and a slow-paced lifestyle. The Eastern Economy Corridor is a project that focuses on the economic expansion of Thailand in 3 specific regions, Chachoengsao, Chonburi and Rayong provinces. The Eastern Seaboard is Thailand’s main settlement for exports and imports of petroleum, energy and the automotive production. The EEC is aimed to attract more investments in order to expand the Thai economy. It is predicted that the EEC will hold as much as 20% of Thailand’s GDP in the future. Another big project planned for EEC is the High-Speed Railway lines that will connect all three airports, Suvarnabhumi, Don Muang, and U-Tapao together. These forthcoming transport plans will also link the Airport Rail Link in Bangkok to the same line. In the future, passengers can travel to Pattaya from any Airport Rail Link stations in Bangkok. The estimated travelling duration is 30 minutes from Bangkok to Pattaya. 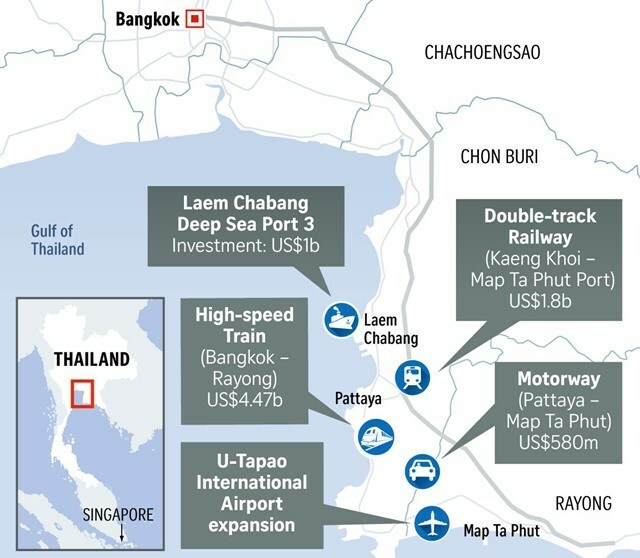 Furthermore, the double-track-railway lines will also link Thailand’s commercial business areas with the deep-sea ports Laem Chabang, Map Ta Phut, and Sattahip. Without any doubts, Pattaya is no longer just another tourist city. The EEC project will enormously transform Pattaya to become the largest port of Thailand with a largest airport. The Pattaya Real Estate market has sprung into recovery after the downfall of the Russian Rubel economic crisis. Condominium and house prices in the property market is rising once again, compared to 2016. This year, a larger number of condominium constructions has been completed due to a higher demand for property and influx of tourists. 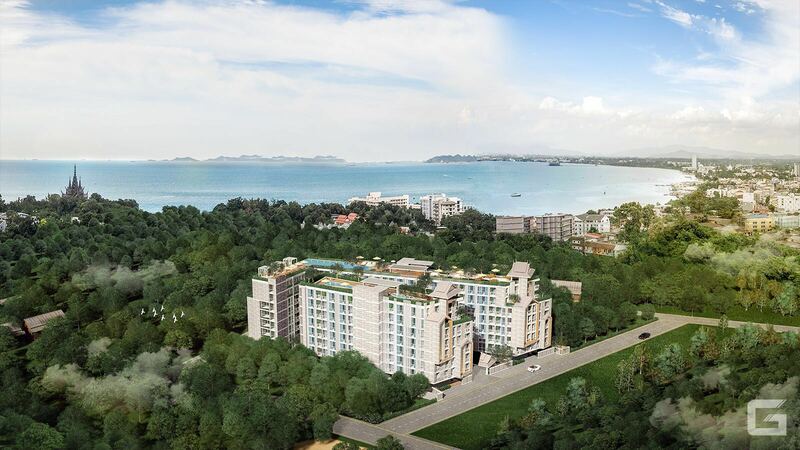 There are two specific condominium projects that has fascinated the Pattaya real estate market. 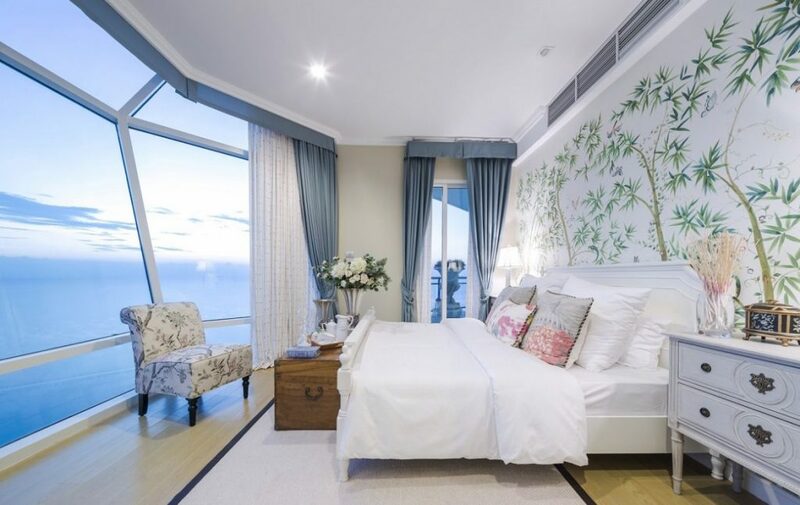 The first project is ‘Reflection Condo Jomtien Beach Pattaya’ which is Ready to Move in and the second project is ‘D-ECO Condo Pattaya’ which will be fully completed in 2020. 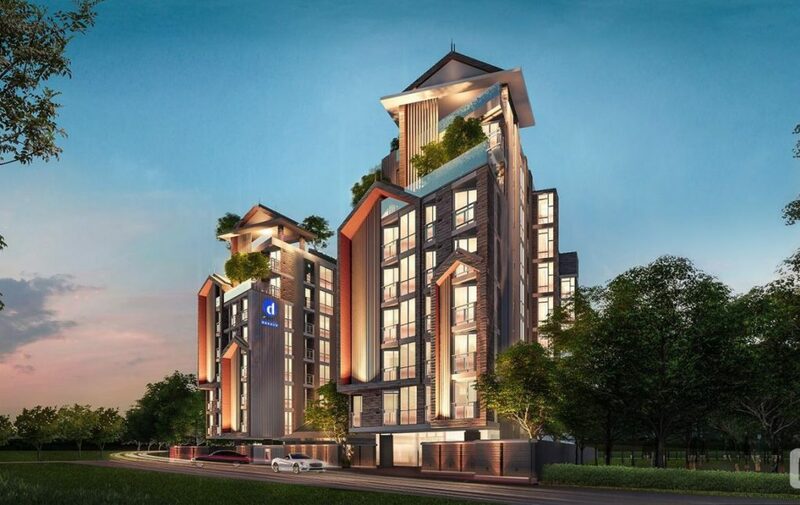 D-ECO is a low-rise condominium project in Pattaya City, in the ‘Na Klau’ area of north Pattaya. The area is bounded by beaches, big roads, local residential areas and the long-awaited Terminal 21 shopping mall that is situated right in front of famous Dolphin roundabout. Under the Suwanna Development Co and in collaboration with Angel Real Estate, this project offers a quality, relaxed and affordable living with an 800m distance away from Wong Amat beach and 1.4km from the future Terminal 21 shopping mall. The higher floors of this project also offer spectacular sea-views. The special feature of D-ECO Condominium is the ‘retirement package’ which offers health-related facilities such as fitness, swimming pool, communal living area, garden, organic groceries, purified water from the United States and weekly check-ups from Bangkok Hospital. It offers hospitality that truly accommodates to the retired elderly. The price is 83000 baht per sq.m with 2 types of units, 1 bedroom (20.56 sq.m.-33.0 sq.m,) and 2 bedrooms (37.41sq.m.-57.41 sq.m.) with fully-equipped amenities. Reflection Condo is Pattaya’s first luxurious condominium on Jomtien beach. It is a spectacular oceanfront condominium with touching distance to the white sandy beach of Jomtien. It is well-surrounded by lively restaurants and bars and countless water and beach activities. Reflection condominium is not only prestigious but it is the upper level of luxury living. Developed by Thailand’s biggest companies, Major Development Public Company LTD, in its corporation with Angel Real Estate, this multistory building is 234 meters in height and is the city’s tallest building. It offers the most facilities in the whole of Thailand with 41 first-class facilities in total. These outstanding amenities includes Guardhouse, Over Hanging Wadding Pool, Multi-Level Jogging Trail, Floating Cigar Lounge, SPA Pavilion, BBQ Pavilion, Golf Cart Drive way, Tennis Court Water Slide, Party Area and many more. Reflection condominium room units are extraordinary and extremely well-planned. The layout of every single room is designed to overlook the panoramic view of the beautiful ocean, with a moon roof corner window that extends your vision to the sky, giving you the truest high-rise living experience that is unparalleled to other. Reflection condominium offers an assortment of units that varies in size and style from 1 bedroom, 2 bedrooms, 2 bedrooms duplex, 3 bedrooms, 3 bedrooms duplex to a penthouse. Pricing starts from 106,000 baht/Sq.m and 60 Sq.m as the smallest unit of this project. 1 Bedroom – 60.52 – 62.60 Sq.m. 2 Bedrooms – 102.93-116.04 Sq.m. 2 Bedrooms Duplex – 105.24-110.53 Sq.m. 3 Bedrooms – 217.55- 217.85 Sq.m. Penthouse – 194.52 – 604.02 Sq.m.